Do you have a slow cooker? For years, I have depended on my slow cooker. To me, it is my go-to kitchen appliance if I know I won’t have much time and want something to cook throughout the day. I have cooked a variety of soups, stews, and Italian dishes over the years in my slow cooker, but the problem I typically have is finding new things to make for dinner. With some of you asking me for good starter cookbooks for your slow cooker, I was delighted when I was approached to review a complimentary copy of Slow Cooker Favorites Chicken: 150+ Easy, Delicious Slow Cooker Recipes by Adams Media. Once this cookbook arrives, I couldn’t wait to start looking over these recipes! Slow Cooker Favorites Chicken: What is It? As someone who is addicted to loves slow cooker cookbooks, I have to say I was pretty excited to start looking through this cookbook. I was happy to see many all-time favorite recipes in this cookbook, ranging from chicken teriyaki to chicken noodle soup. What made it really stand out to me; however, was the variety of different ethnic chicken dishes in this cookbook. I was surprised to even see an Ethiopian chicken stew recipe. What I consider the best part of this cookbook, though, is that the recipes are very easy to make and generally have ingredients most people will find in their kitchen. Oh, and each recipe tells you in the corner how many servings you can expect to get out of the recipe. My only complaint is that I wish it had pictures so that you could have an idea of what some of the recipes should look like when properly done. Either way, though, Slow Cooker Favorites Chicken is a fantastic starter cookbook for anyone who just got a slow cooker! Slow Cooker Favorites Chicken: Where to Purchase? Want to purchase this book for yourself or someone in your family? You can buy Slow Cooker Favorites Chicken on Amazon.com for only $12.39 in paperback or $10.99 for the Kindle. Also, don’t forget you get free two day shipping if you are a Prime Member (or have a 30 day trial). 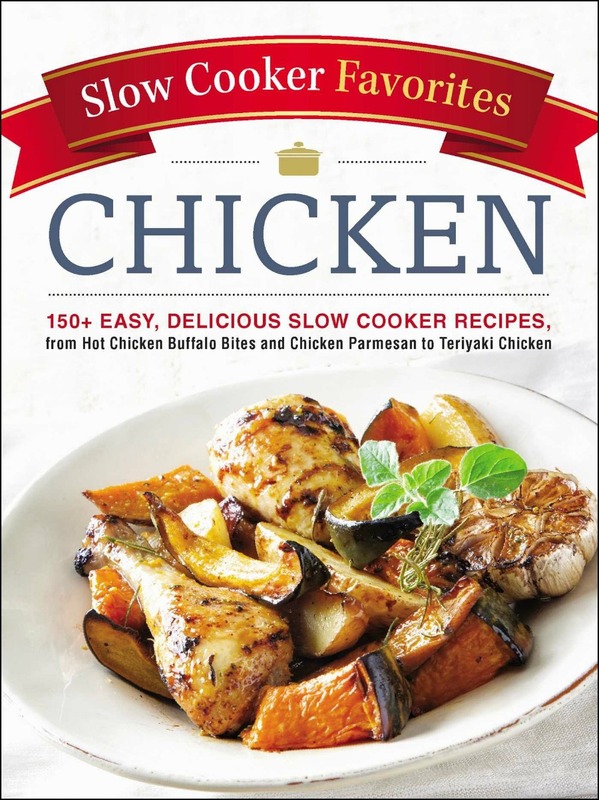 If you are new to cooking with your slow cooker, this is a great book for chicken recipes! I currently own Slow Cooker Favorites Chicken and it has some awesome recipes. Chicken is a easy meat for my toddler to eat, so book is perfect. This sounds like a great cookbook. I use my slow cooker a lot and always love new ideas! This slow cooker cookbook is definitely one I need in my kitchen. Sounds like a good cookbook. This sounds like a great cook book. My family loves chicken and I love using my slow cooker. never had a slow cook but been thinking on getting one.this would help with ideas for the slow cooker. This cookbook looks great! I need to use my slow cooker ore often. I like that the recipes don’t have exotic ingredients. I like a recipe where I might have 75% or more of the needed items in the house already. Now this is definitely something that I could use! I absolutely love slow cooker meals, and have such a hard time coming up with exciting chicken meals.